Local businesses could face closure after a decline in revenue since Sainsbury’s local opened on Penrhyn Road, shopkeepers have claimed. The Sainsbury’s store occupies the commercial space in the recently completed private development at 75 Penrhyn Road, which Kingston University has leased for student accommodation. However, it remains the responsibility of the building owner, CKC Properties. 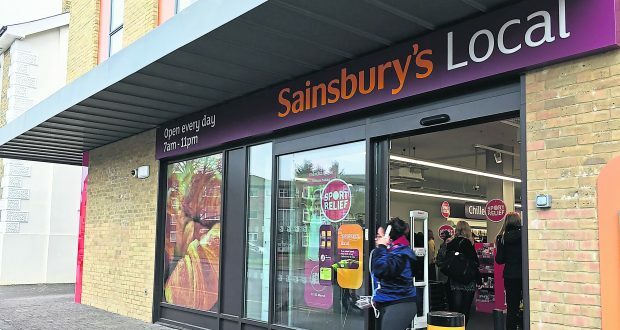 Sen Siva, 38, owner of Laabham convenience store on adjoining Surbiton Road, claimed to have suffered a sales loss of 80 per cent since the Sainsbury’s Local opened in mid-November. He said he used to bring in about £400 a day, and is now only earning around £60. Siva said he has had to dismiss his employees as he can no longer afford to pay them. He works seven days a week which he blamed for his bad knee, bad back and stress. Originally from Sri Lanka, he took over the business from his uncle over 10 years ago. He has a degree in computer science but could not find a job in his field. The Laabham owner is “disappointed” and “frustrated” that Sainsbury’s is “killing” his business and voiced concerns about the lack of consideration from the council. “They are telling me they’re giving more people more jobs in the new Sainsbury’s but what about our jobs?” he said. However, other shops have also suffered since the Sainsbury’s Local opened its doors. Londis on Surbiton Road has seen around a 30 per cent drop in sales. Owner Akvinder Singh Mahal claimed his biggest loss is in pizzas, where he has gone from selling roughly 200 a week to 10 a month. Mahal also blamed the University bus service for the lack of people walking past the shop, as well as the council for not maintaining the parade. Siva said the only way to survive against supermarket giants is if you have a good financial background. “In day to day business you can’t get that much profit. We don’t get millions or anything, we are just trying to feed our families and keep them warm,” he told The River.